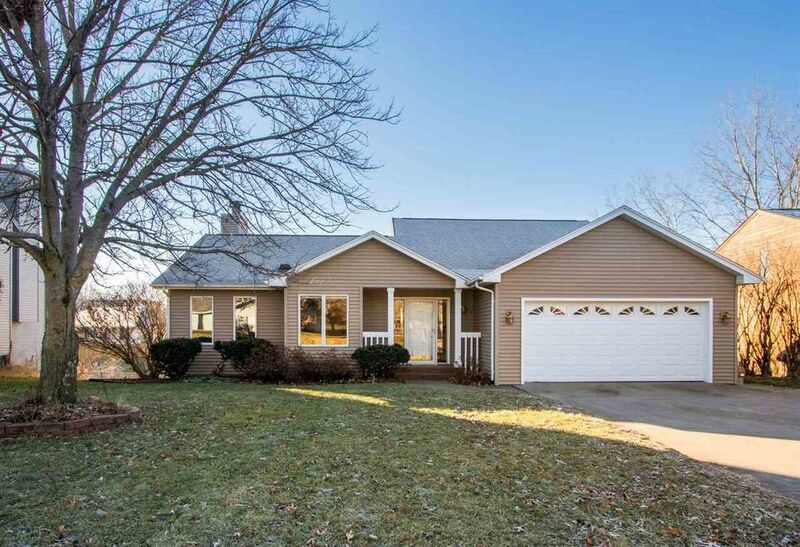 Charming walkout ranch in an established Coralville neighborhood close to shopping and North Ridge Park with so much to offer! Special features include over 2600 finished sq. ft. including 4 bedrooms and 3 baths; functional kitchen that boasts luxury vinyl tile flooring, newer stainless steel Whirlpool appliances including a French door style refrigerator, tile back splash, breakfast nook with built-in bench that comes with the matching table and solid oak cabinetry; formal dining room; living room with a high vaulted ceiling and a cozy wood burning fireplace and built-in bookcases; spacious master suite equipped with a full bath, extra built-in vanity, 11 ft. deep walk-in closet and deck access; walkout lower level with 10 ft. ceilings; rec/game room with dry bar and beverage refrigerator plus a glass cabinet display case; family room highlighted by a floor to ceiling stone wood burning fireplace; 4th bedroom or a great office with floor to ceiling bookcases and walk-in closet; expansive 16x25 storage room and laundry facility that comes with the front load washer/dryer; WiFi lower level Nest Protect System that works as a smoke and carbon monoxide detector; Andersen Windows; large 2 car garage with built-in work bench and attic storage; 14x17 deck and patio; fenced yard; extra parking pad; and high efficiency Lennox equipment! Some very nice updates/improvements and a radon reduction system already in place! Directions: Holiday Rd. West of the 12th Ave. round about.